Sean Bláthanna – Finished piece. 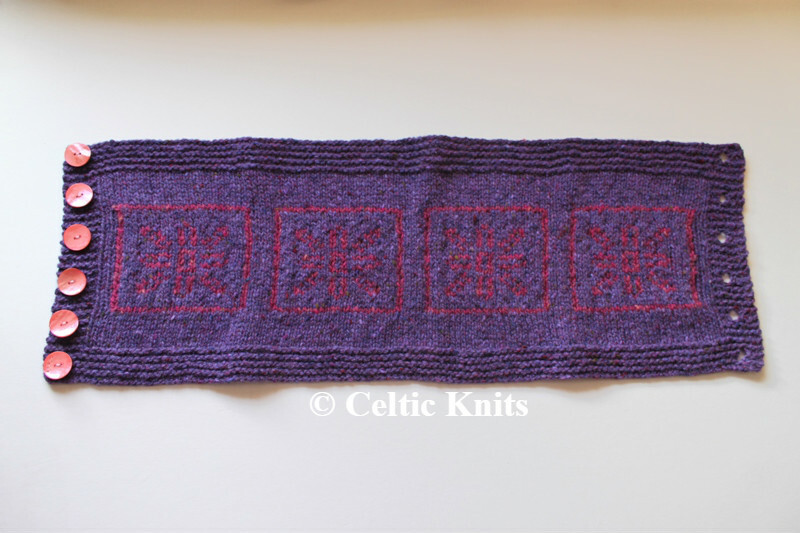 Sean Bláthanna, meaning Old Flowers in Irish, is another design in my Neoknitic range. It’s inspiration once again comes from a flower type carving I saw inside Cairn T at Loughcrew, Oldcastle, Co.Meath. 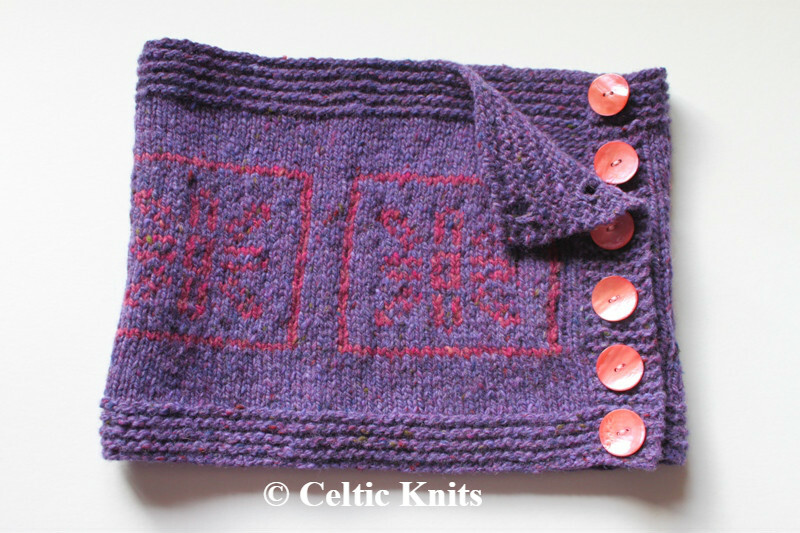 Sean Bláthanna is a button up cowl so you have a range of ways to wear it. 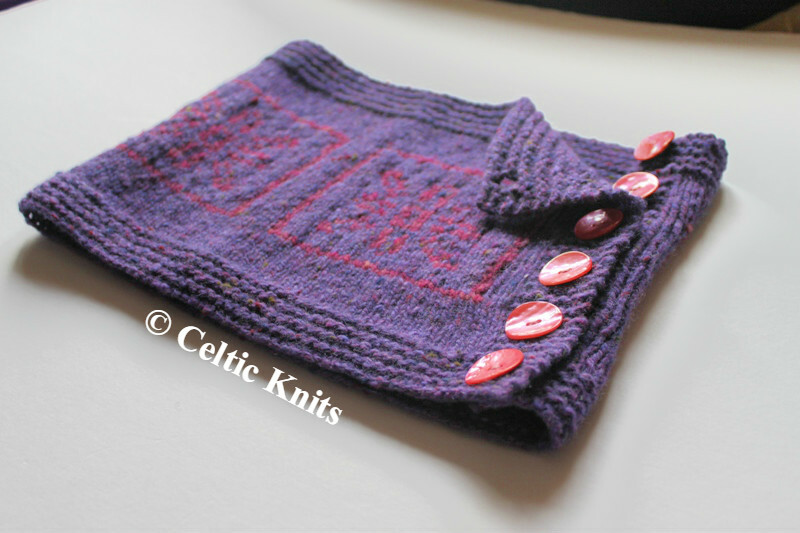 It is a warm snug fit cowl and this sample is knit up in the Irish yarn Soft Donegal from Studio Donegal. Which makes it a truly Irish piece. 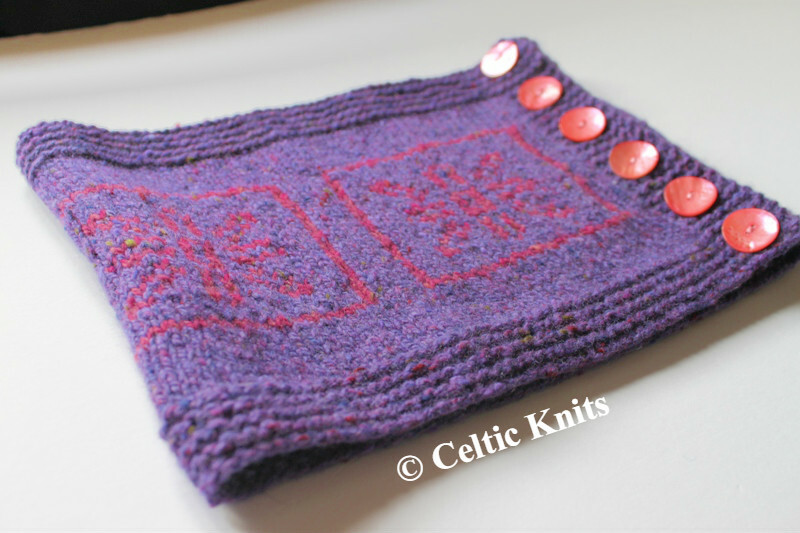 This entry was posted in Celtic Knits, Designs, Finished object, Knitting and tagged Cowl, Designed, Sean Bláthanna, Studio Donegal. Bookmark the permalink. 5 Responses to Sean Bláthanna – Finished piece. Great piece here. It feels like it has a magical energy about it. I like how there are so many possibilities for color combinations and button choices. There are, this design just calls out for lots and lots of other colour combinations.